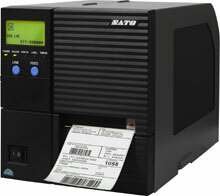 The SATO GT Series is the fastest thermal barcode printer its class. 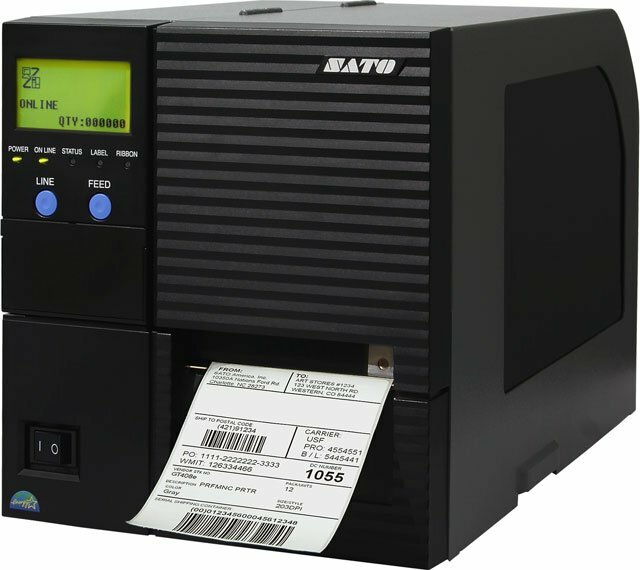 The design of the GT Series is built on the e Series of SATO printer architecture, which provides high-speed data transmission. The SATO GT Series is equipped with 6 MB of Flash ROM - 4MB for main memory and 2 MB for font storage. An optional 20MB memory cartridge provides expanded storage capability, ideal for housing TrueType fonts, format forms, graphics, history of printed data, LCD messages, and SEMBL programs. The metal casing and structure provide a durable design to satisfy the printing demands in rugged environments. Thermal transfer, 609 dpi, 4.1 inch print width, Up to 6 ips Print speed, 6 MB memory, Ethernet Interface. 4" x 3" Thermal transfer polypropylene label. 730 labels/roll, 4 roll case. 4" x 2" Thermal transfer paper label. 1040 labels/roll, 4 roll case. 2" x 2" Thermal transfer paper label. 1040 labels/roll, 8 roll case.